The Fort Myers Police Department and about 10,000 other law enforcement agencies throughout the country started enforcement efforts aimed at intoxicated drivers to reduce the risks of drunk driving accidents in Fort Myers and elsewhere through the Labor Day weekend. The nationwide campaign, “Drive Sober or Get Pulled Over” has officers conducting a number of sobriety checkpoints and various saturation patrols. Officers will be focusing their efforts on the evening hours as that is when drunk drivers are most likely to hit our roadways. The campaign kicked off on the 19th of August and will be running through the Labor Day weekend, September 5th, according to WINK News. 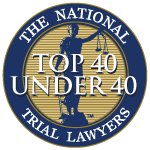 Our Cape Coral drunk driving car accident attorneys note that recent reports, released by the National Safety Council (NSC), estimate that approximately 400 motorists are expected to die because of car accidents over the upcoming Labor Day weekend. Another 39,000 people are expected to be injured in traffic accidents this weekend. These accidents are preventable if all residents and visitors vow to drive safely and cautiously over the long weekend. We also ask that you remain sober if you’re planning to drive. Keeping intoxicated drivers off our roadways may be one of the most effective ways to help ensure everyone’s safety. Over the last six Labor Day weekends, our county has seen an increase in the number of roadways fatalities compared to similar non-holiday time periods. -Locate and remove drivers who are impaired by alcohol or drugs. 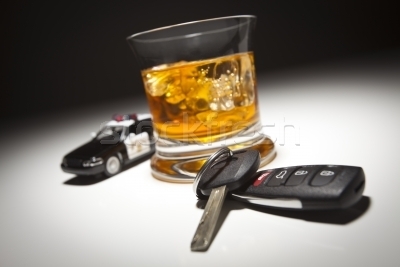 -Reduce the likelihood that an impaired driver will jump behind the wheel. -Educate residents and visitors about the dangers of driving drunk. -Have a plan. If you’re going to be drinking, make sure you have a designated driver before you head out for the evening. -Grab the keys. Do your part to make sure that friends and family members don’t get behind the wheel after drinking. -Heads up. If you’re throwing a party over the holiday weekend and you’ll be serving alcohol, remember to let your guests know to make transportation arrangements to get home. It is wise to offer non-alcoholic beverages and to make sure that everyone leaving your party has a responsible ride or a designated driver. The Florida Department of Highway Safety and Motor Vehicles report that in 2009, there were 25 traffic-accident fatalities and nearly 450 injuries in Lee County that were alcohol related. Labor Day weekend continues to be one of the busiest and deadliest times on our roadways. Motorists are asked to navigate safely and to report any driver that they suspect to be intoxicated by calling local authorities. Please enjoy your Labor Day weekend, remain safe and help to keep your loved ones safe.